Are Your I.T. Folks the Best Trained? How well prepared are your IT staff members? As well as dealing with problems with IT equipment or software, your IT folks also need to be prepared for new technology as your business adopts it. Well trained IT staff is a must for your business. 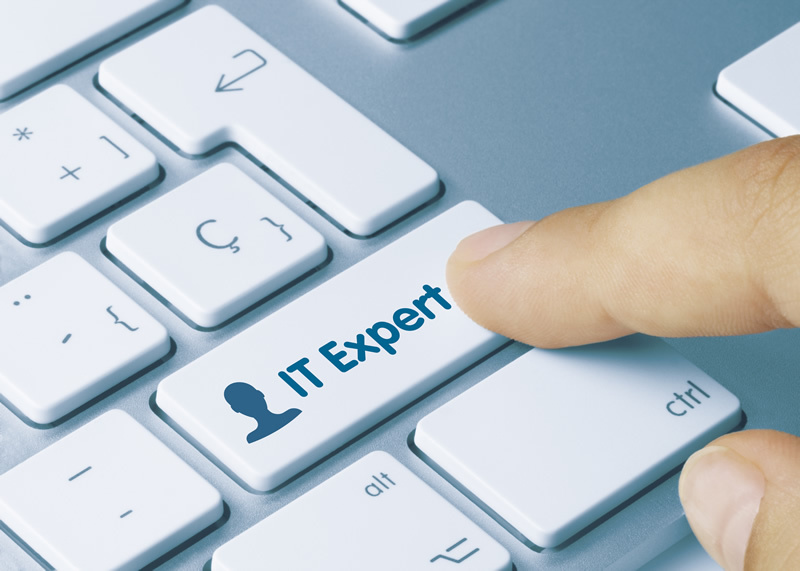 So just why is training your IT staff so important, and what steps can be taken to make sure your IT folks are the best trained? Your IT staff is a valuable business asset. From keeping things running smoothly to helping with the adoption of new technology, your IT staff can make a real difference to your business. Lack of knowledge or training can lead to frustrated staff and difficulties with existing and new IT technology business-wide. Business IT is changing. From the Cloud to VoIP phone systems, many businesses are finding their IT needs changing more rapidly than before. Your IT staff is key to implementing any changes and smoothing over the inevitable bumps in the road as new technologies are adopted. Well trained staff is better-placed to work with systems old and new, and provide a knowledgeable point of contact for the rest of your staff. Investing in your IT staff is an investment in your business. Offering training and education creates loyalty, showing your staff that you value their contribution to your business and want them to succeed. As well as creating loyalty and good will between you and your staff, proper training lets your staff know that there are options for them to learn and grow within your business. It’s common among business owners to fear that training staff will encourage them to use their new skills elsewhere, but in fact staff is more likely to look for opportunities to apply their new skills to their current role. As the article “What Training Do Your IT Networking Folks Need Next?” says, your training priorities will depend on your current IT environment and your organization’s needs. Before you can decide what training is most pressing, you’ll need to take a look at where your business is, and where it’s going. Think about your current IT. What needs upgrading or updating? What is causing you the most problems? How about new technology? Is your business ready for the Cloud, or looking for more data-based insights? Once you know what your aims are, you can narrow your focus and discover your most pressing IT training needs. Depending on your needs and budget, you’ll find there are plenty of different training options available. Your best training option will depend not only on your budget, but on the complexity of the topic at hand, your staff’s current level of knowledge, and the kind of training that will fit best around current workloads. Keeping your IT staff well trained will help them to work more effectively, as well as making the transition to new technologies smoother. An investment in your IT staff is an investment in the future of your business. About the Author: Tristan Anwyn is an author who writes on a range of topics including social media, SEO that works, and how to train your IT staff. ← Is Your Business an Insurance Nightmare Waiting to Happen?